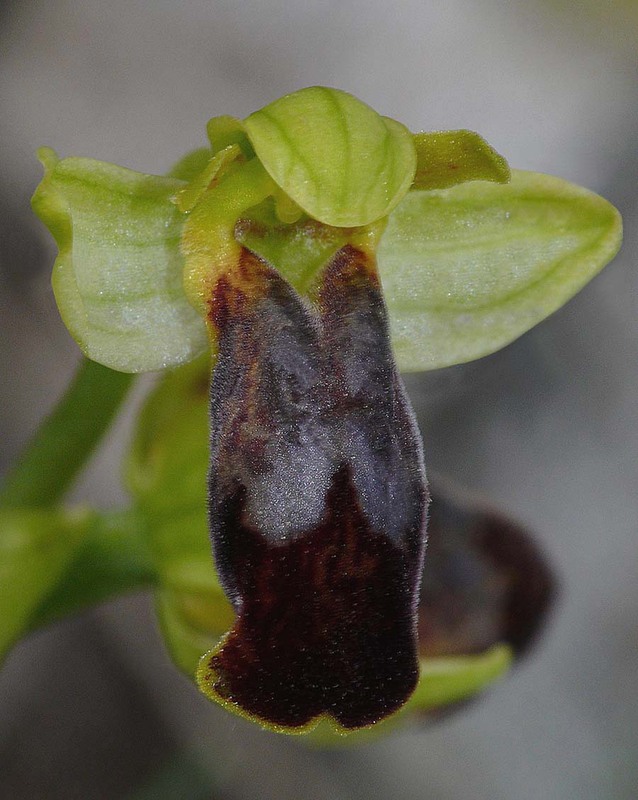 O. lojaconoi was first described from Foggia, Italy by Pierre Delforge in 1995 and was named after the Sicilian botanist, Lojacono Pogera. 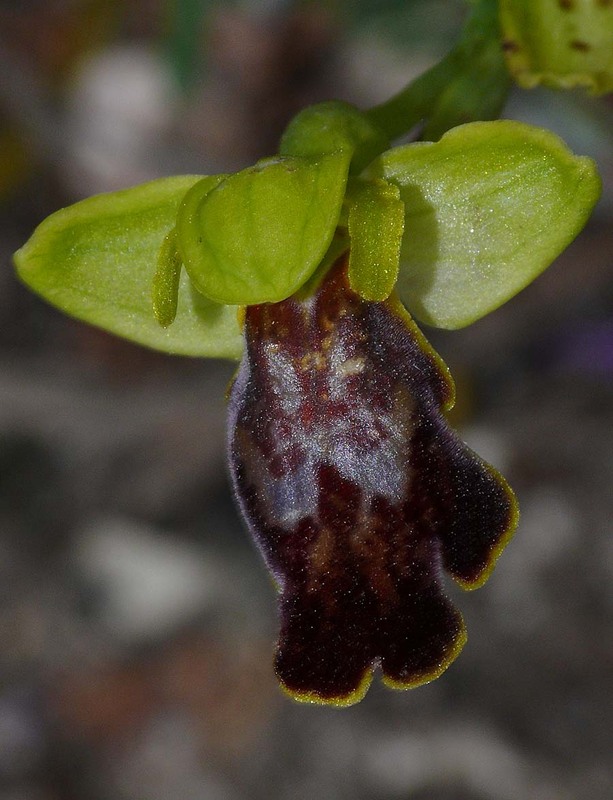 The species is also known by the synonym O. iricolor ssp lojaconoi, which is entirely understandable given that it can often be so vividly coloured as to closely resemble this more easterly distributed species. 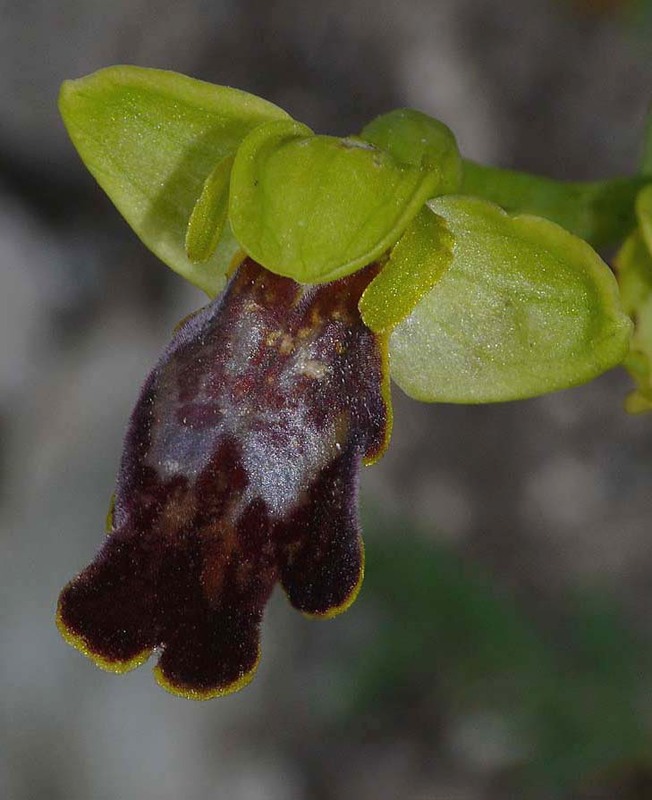 Despite this morphological similarity the two species are not thought to be closely related and O. lojaconoi is a member of the O. fusca group of Ophrys. O. lojaconoi has a limited range on the eastern coast of Italy from the Gargano peninsula and southwards along the Adriatic coast as far as Brindisi. 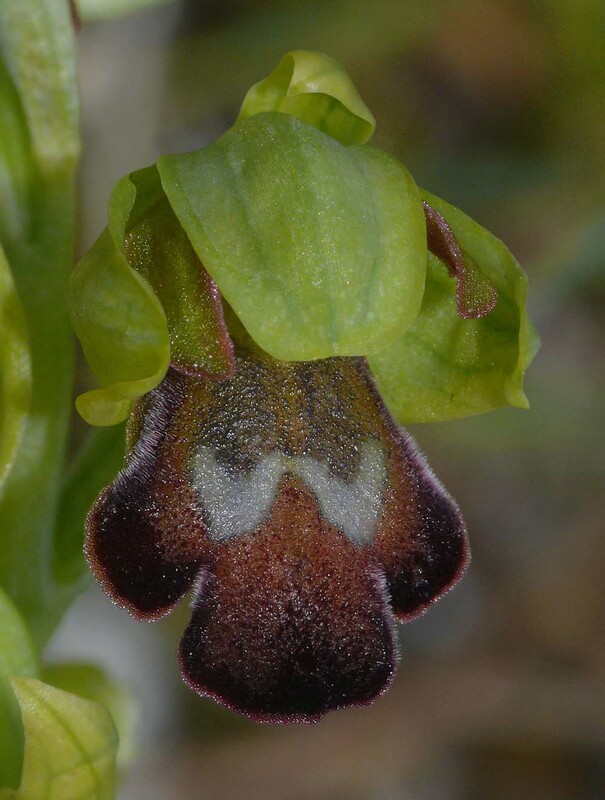 It is a highly distinctive Ophrysthat is not easily confused with other members of the genus and not least because of its often colourful labellum. As has already been mentioned, current thinking does not link these two species but the specular pattern is often strongly reminiscent of O. iricolor. The key identifying characteristics of this species are the prominent basal ridges below the stigmatic cavity. The lip is not divided and the speculum therefore appears entire, generally bluish and usually with a relatively complicated and variable pattern. The lateral lobes often but by no means always tend to stand proud from the median lobe, thereby forming a wide sinus area. O. lojaconoi will happily grow in full sun but seems to prefer a position offering some respite from direct light. Hedge banks, overgrown scrub and light woodland are favoured sites. The picture comes from the Gargano peninsula and date from the first week of April. This is a relatively late date for this early flowering species which is at its best in March.